THE Zimbabwe Anti-Corruption Commission has opened an investigation against 23 MDC councillors and two National Assembly members implicated in a $60 million tender scandal in Bulawayo. Other charges are related to the sell of stands to MDC councillors in a self-enriching scam. The councillors accused in the stands scam include Sithabile Mataka, Thabitha Ngwenya, Gladys Masuku, Macdonald Chunga, Tamani Moyo, Nephat Sibanda, Clayton Zana, Thobani Ncube, Collet Ndlovu, Siboniso Khumalo, Reuben Matengu, Mazama Dube, Gideon Mangena and former councillor Edward Manning. 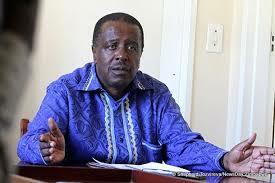 Zacc Commissioner in charge of investigations Mr Goodson Nguni confirmed the probe. He said the anti-graft body was keen to interview the opposition members – some of whom who are no longer with the Bulawayo City Council – including Njube MP and MDC-Alliance Bulawayo provincial chair, Mr Gift Banda.